With over 1.3 billion people, China is the most populated country. However, around the world there are estimates of more than 2 billion Chinese people in the world. Whit a world population above 6.7 billion and rising, Chinese population accounts for more than 20 % of the world�s Population. For all of them, this year is not strictly 2011. Now, they are preparing to receive the year of the new Rabbit. Those who remember the Year of Tiger know how important the Chinese calendar. The year of Tiger was seen as a symbol of strength, power and all tiger�s natural behaviors. The real numbers of the eve of the Rabbit Year are here. Stock market experts are sure doing their own research. Tradition and year cycles are an important aspect of the Chinese culture. The Chinese culture is a major player of the social and economical world of the Asian region and sets the tone for the world markets. The year of the Tiger which is now ending became a symbol known around the world. Now lunar Chinese Calendar marks the start of "Year of the Rabbit". 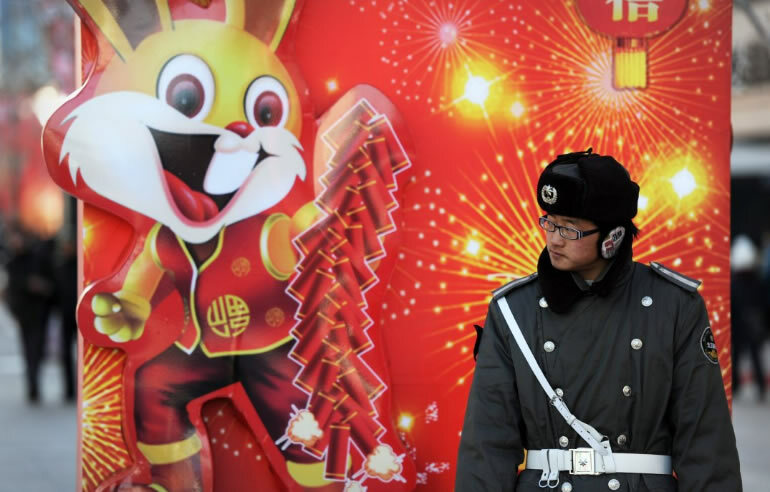 In China the animal year set by the 12 lunar calendar is taken very seriously. It affects all the parts of the society, economy, culture, endeavors and new projects, economic relationships and markets in general. NPR, reported, "Last year, we were forecasting a tiger leap -� i.e. in the second half, the markets shoot up, which is exactly what played out until November," said CLSA's feng shui economist Philip Chow. "But the rabbit doesn't leap, the rabbit hops, and every time it hops a bit up, it turns around and shoots up its ears and sees if it's safe to go on, and then it hops up again�. The rabbit�s characteristics are various. It is associated with Earth, and Rabbit Holes it is also a mystical animal hard to understand and hard to get a hold off. Some say that the rabbit is articulate, talented, and ambitious, virtuous, reserved, and have excellent taste. They also claims rabbits are often financially lucky. The western economy took seriously the start of 2011 and markets reacted to the event. For 20% of the World�s population the Year of the Rabbit is about the begin. For them the rabbit year is as serious or perhaps even more symbolic than a just a number. According to the Associated Press, about 230 million people are expected to travel during the Lunar New Year holiday season, which runs through the end of February.